From Goodreads.com: "It starts as a trip to paradise. Sent on assignment to Bali, Jamie, an American adventure guide, imagines spending weeks exploring the island’s lush jungles and pristine white sand beaches. Yet three days after her arrival, she is caught in Bali’s infamous nightclub bombings, which irreparably change her life and leave her with many unanswered questions. One year later, haunted by memories, Jamie returns to Bali seeking a sense of closure. Most of all, she hopes to find Gabe, the man who saved her from the attacks. She hasn’t been able to forget his kindness—or the spark between them as he helped her heal. Checking into a cozy guest house for her stay, Jamie meets the kindly owner, who is coping with a painful past of his own, and a young boy who improbably becomes crucial to her search. Jamie has never shied away from a challenge, but a second chance with Gabe presents her with the biggest dilemma of all: whether she’s ready to open her heart." 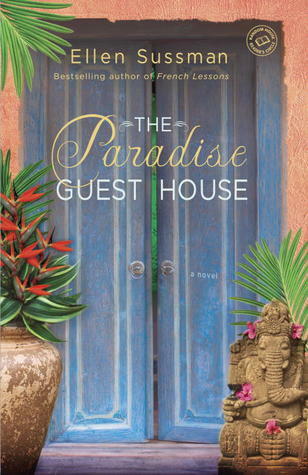 "The Paradise Guest House" takes place in the fairly recent past in 2002 and 2003 in Bali, Indonesia. The story follows Jamie, a once carefree woman who makes a living as a adventure guide writer, who had the misfortune of being in the nightclub bombing that happened in Bali in 2002. She's still trying to keep that carefree and adventurous spirit but it's so difficult for her in the aftermath of the bombing. She is still deeply haunted by all of the terrible things that she witnessed that night (and understandably so). All she wants to do is to be able to put together the pieces of what happened that terrible night, why she acted the way that she did, and why things happened that she happened. She's looking for comfort and closure from the bombing but also from Gabe, the American ex-pat who saved her life on that night. The book started a little slowly for me. It takes a little while for us to figure out why Jamie is going back to Bali when such a terrible thing happened not all that long ago (the story opens in 2003, a mere year after the bombings took place). It took me a little while to get into the book also because it is written in the third person present, which is always a little jarring. I wasn't a fan of this. However, the book really picked up for me as we begin getting more information about Jamie and why she has returned and what the night of the bombing was like for her and Gabe. We get to see how they met. I wish we had gotten some more detail on how/ why they were attracted to each other and what happened between them. 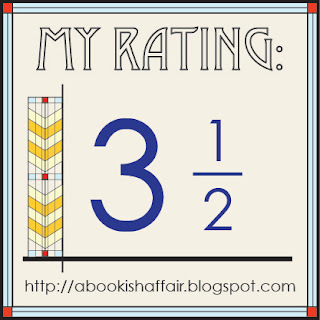 The setting was really enjoyable for me to read about. I really love books that are set in exotic locations. Bali is most definitely exotic to me. Sussman makes you see what Bali is like and what the guest house and its inhabitants are like. You see the streets and markets alongside Jamie, which is very cool and definitely added a lot to the book for me. Overall, this is a very touching story of trying to find closure even if it means confronting the scene of where something really horrible happened. Pretty cover! The story sounds interesting too. Thanks for the review! Yes! I love the cover! I'm not sure it's exactly fitting for the book (the subject matter is pretty serious while the cover looks light and relaxing) but it certainly is pretty! I have this one on my wishlist, but e third person presents makes me super hesitant. It's just jarring at first but not bad. 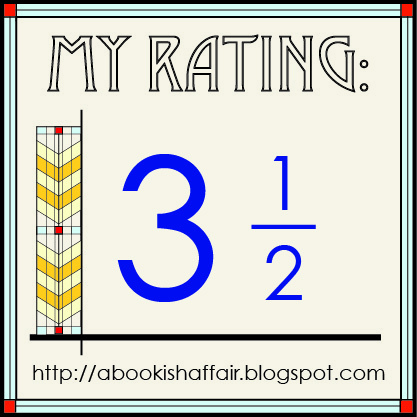 This one seems as if it falls into what I would read - about a person and her struggles. I'm not a fan of romance novels in general, I prefer mystery and especially novels about people and their struggles, like historical fiction. It's definitely more character driven than anything else! This sounds really good even though it starts out slow. Sounds like an incredibly moving story.